Biography: The Dowell family made Cushing their home during the summer of 1996. 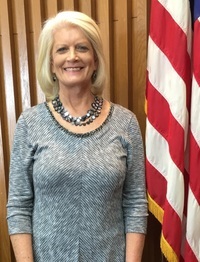 Nancy was hired by Cushing Public Schools in August of 1997. She taught one year of third grade and nine years of fifth grade at Deep Rock Elementary before becoming the principal at Harmony Elementary, currently Cushing Lower Elementary. Nancy is a member of the Cushing Rotary Club and PEO Chapter AX of Cushing. Personal: Nancy was raised in Lawton, Oklahoma where she graduated from Eisenhower High School. She then attended the University of Oklahoma, earning a bachelor's degree in Journalism/Public Relations. She later received a bachelor's degree from Cameron University in Elementary Education. Her latest degree is master's degree in Teaching, Learning, and Leadership from Oklahoma State University. Nancy is married to Dale Dowell and they have three grown daughters: Sarah, Emily, and Susan, all Cushing High School graduates. Emily is married to Eric Love and they have two children: John Luke and Whitlee.